MSAR Search and Rescue Association represents professional and volunteer Search and Rescue members who are trained and certified to international and world standards. Since our members are part of the International Elite Search and Rescue Response Team, our standards far exceed any provincial or national organizational standards. 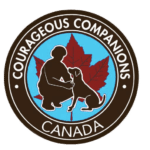 K-9 Spectrum – training working dogs for protection, attack, private contracting, military contracting, police services, SAR, narcotics, explosives etc. Is an INDEPENDENT Non-Government Organization (NGO). Partners with rural communities by identifying, sourcing and assisting the delivery of Community Safety Programs. MSAR DOES NOT receive any provincial or federal search and rescue funding to conduct operations. MSAR DOES NOT charge any families for its search and rescue services. Conducts search and rescue and search and recovery operations for First Nations communities. at all times respecting the diverse cultural background that our communities and members represent. Our World^To build the capacity within the First Nations community to provide independent search and rescue capabilities. To work with like-minded agencies that respect the diversity of the First Nations by increasing safety within the communities. To build an international First Nations Search and Rescue Agency that promotes First Nation’s values. To train community leaders to inspire youth and communities to increase First Nation participation in emergency services on and off reserve. MSAR training program at present is the most comprehensive, and the intensive training is unmatched by any local, provincial, or national organization (except the Canadian Forces). MSAR’s K-9 Dog Search and Rescue Team, are “the best of the best” and MSAR also has a Special Ops (cadaver) K-9 unit in the province. MSAR conducted the largest search in Manitoba’s history in Portage La Prairie. MSAR is the only organization within the province’s history to conduct two separate independent search and recovery operations successfully within a two-week period in Thompson. MSAR was the first agency to respond to the Winter Road collapse in 2010 by partnering and coordinating activities with First Nations, RCMP, and Manitoba Hydro. These efforts directly saved 14 lives and accounted for 143 stranded, missing, or injured travelers. The northern remote areas are open to road traffic at very specific times of the year when supplies and vehicle transport is possible. Generally, it has been late Jan – March (weather depending) and these roads are not patrolled by any government agency. Travel is stated “At your own risk” – and with the many off roads; whether they are logging roads, old roads, hunting trails or where the signs have disappeared people get lost or break down. Our association provides patrolling of these roads and each year we assist 30-50 people that would have been in serious danger of exposure due to being lost or have a vehicle break down. We try to be the first on and the last off and carry a large quantity of supplies to provide assistance. There also is no cellular service in the majority of the areas and satellite phones do have their dead spots, so it is critical that we are present on the roads as much as possible. This was never more important than in 2010 when the winter road system collapsed stranding over 143 people on the winter road system. Without MSAR’s direct intervention and immediate action, lives would have been lost; we (in partnership with the Northern Road Authority and NCI) have put forward a winter road safety education campaign to inform community members, businesses, and related government agencies about travel on the winter road system until the all-season road can be built. MSAR Search and Rescue was started by George Leonard in partnership with Aboriginal elders, First Nation leadership and dedicated volunteers to address the growing concern of missing Aboriginal persons. Working with community members, First Nation leadership and highly trained members our association has been extremely successful in search and rescue operations and recovery. We firmly believe that fully engaging community participation with an inclusive search and rescue operations system is the best model for SAR operations. No one, and we mean no one can out search an aboriginal person on the land, Anishinabe ( one definition – people of the land and of God) people are protectors and Stuarts of the land with unmatched outdoor skills and survival capabilities. MSAR is NOT a member of the Provincial Organization SARMAN – our mandate provides for an immediate response to an emergency situation working with First Nation government (includes any First Nation community leadership, Southern Chiefs and MKO) who have authority over their sovereign territory. The vast majority of search and rescue operations are not reported in the media and do not involve the external police agencies. They are conducted by the community working with local leadership to locate missing individuals. MSAR believes in the international and military model of search and rescue of having highly trained SAR Tecs capable of conducting multiple operational applications – A member of the MSAR’s Elite Search & Rescue Response Team must have 1682 hours of training to receive certification and is capable of operating as a searcher, search leader or search commander. This level of training is unmatched and far exceeds the Manitoba Provincial SAR network and other police search and rescue, teams. 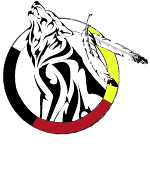 MSAR is a member in good status and uses the Emergency Response International (ERI) and National Association for Search and Rescue (NASAR) training models as the core with additional training coming from Aboriginal guides, trackers and elders. MSAR is adapting to the changing search and rescue models and the ability to conduct search and recovery operations. With more people being in cell phone range, carrying GPS and the expansion of global satellite personal tracking and communications, the search model is changing to highly trained mobile SAR Tecs to conduct rapid extensive searches with K-9 support. This changing model also must include the expansion of the search and recovery capabilities. MSAR has been involved in many search and recovery operations with great success and we continue to remain as the go-to organization for recovery. MSAR is also greatly involved in the search for the many many missing people in Manitoba, and these searches require specific skills and training for MSAR to remain the best organization to conduct these missions. Due to the large amount of missing Aboriginal people in the Province and it is essential to the Aboriginal culture to have the bodies recovered, MSAR designates significant time to the recovery and search of these missing persons. MSAR works with family and community members to conduct these missions with the hope to repatriate the missing loved one to their traditional territory. MSAR has been very successful in this process and continues to work to solve other cases.